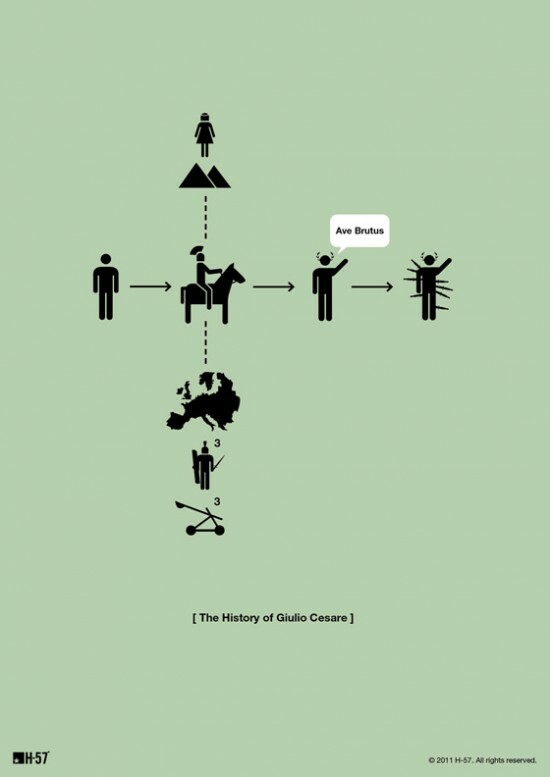 I love these minimalist History posters chronicling the lives of famous figures, both real and fictional. The posters were created by Italian design firm H-57. According to mymodernmet.com, an H-57 representative said that "The pictogram history posters were born out of an art-like collaboration with the website First Floor Under, which is a creativity and photography blog, a digital publishing house." H-57 also created some pretty nifty Star Wars Typography Posters.